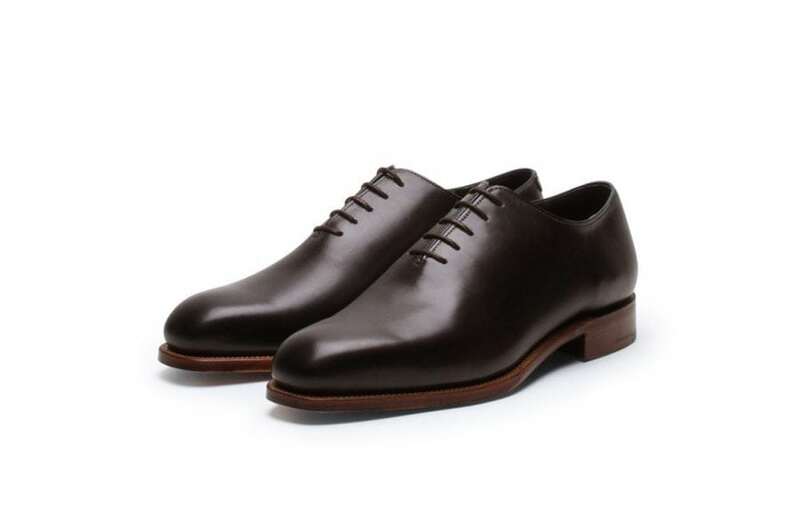 One of our stable of whole cuts, Black Sole 1 is a seriously elegant shoe. There is almost nothing to look at except the beautifully long slender lines of the TL1 last and the vast expanse of aniline tanned French calf. No patterns, no stitching and no broguing, this is the perfect example of the triumph of simplicity over complexity in design. Black Sole 1 comes on a single sole and is a real shoe man’s shoe.